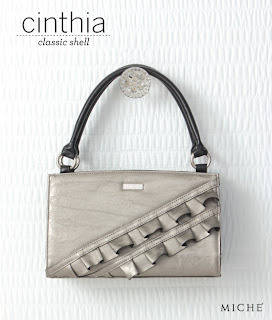 Gorgeous pewter grey metallic faux leather already makes this Shell a beauty, but a double diagonal tuxedo ruffle really elevates the “wow” factor on the Miche Cinthia for Classic Bags. It’s a look that says, “let’s go out tonight, honey!” Need a glam Shell to add to your collection? Cinthia is perfect!